It is possible to use internet lines instead of classic telephone lines: that’s IP telephony , the XXIst century telephony (internet telephony definition: VoIP – Voice over Internet Protocol). That’s what’s used by Skype and all over chat software, but also by the internet provider boxes, that provides telephony. 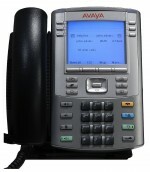 VoIP is the new norm to manage your phone switchboard: replace your analogue PBX with an IP-PBX ! This adds a lot of functions to your switchboard: you can link your PBX to your collaborative software (calendars and contacts management), for instance, to forward your calls to a meeting room when you are registered to a meeting in that room, or to forward your calls to your mobile or to a colleague when you’re out for an appointment. Possibilities are endless and easily manageable from a dedicated software.